In time these topics may extend over several web pages but for now we’ll try to keep the number of pages to a minimum and only add topics and pages as and when there’s something worthwhile to say. We’ve now (April 2013) had the opportunity to beta test a pre-production 6620 Connect unit in a basic VP2 test rig here in the UK for a number of weeks – see image right, which shows a complete VP2-based installation mounted on a 7716 tripod. The most notable feature of the Connect product – assuming of course that you do have mobile phone reception at the proposed installation site – is perhaps the simplicity of setting it up. All that’s necessary is to install the 6620 Connect unit within wireless range of eg a Vantage Pro 2 ISS, register an appropriate account at the weatherlink.com server and power up the modem unit. There are a few LED flashes to check but within a few minutes, the cellular (mobile phone) modem should register with our local cellular base station and start, automatically, uploading data every 15 minutes to your weatherlink.com account via the mobile phone network. and with data currently visible via the usual web pages at weatherlink.com. 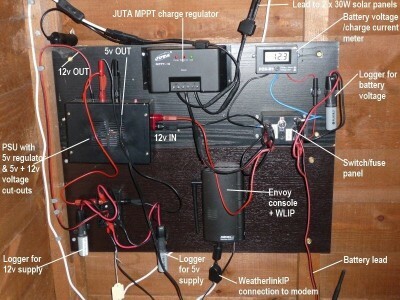 Full configuration of the Connect unit can be achieved remotely via the unit’s web interface, once the communication link was fully established. There is really not much to add: The Connect unit performs exactly as intended – for anyone already familiar with the live data presentations available at weatherlink.com, the Connect products provide exactly this but with uploads mediated via the mobile phone network rather than a local Internet connection and all with an absolute minimum of setting up. Our Connect is a final development/test unit and as such we’ve been requested to make various upgrades to the unit and its firmware as part of the testing and validation process, with occasional hitches as the detailed configuration has been finalised. But any issues were transient and quickly resolved and we’ve achieved a configuration which seems fully robust and stable. Our experience with this preproduction unit confirms that this is already a product that is working satisfactorily in its current configuration and so must be getting relatively close to its formal launch. One detail that has evolved during the late development stages is which mobile networks the data plans will be supporting. Please contact us for further details of the currently supported networks. 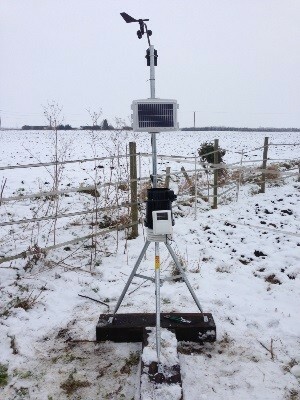 This is an unusual and inexpensive optical rain gauge sensor that we have in for testing. Further report in due course.